November 1, 2012 Keith told me what he wanted to be for Halloween this year. And he stuck to his story like white on rice. Which is a shocker because he is incredibly indecisive. He changes his mind several times on anything and everything. Last year, on deciding what to be for Halloween, he changed his mind hourly. And so, with his mind made up, we began our preparations for Halloween 2013 that very day. Which basically meant we did not cut his hair all year. We trimmed it a few times, but we did not cut it until two weeks before Halloween, when I took him to get it cut like Luke Skywalker's hair and the beautician said, "Who?" I think I died a little inside. But it was still long and shaggy. 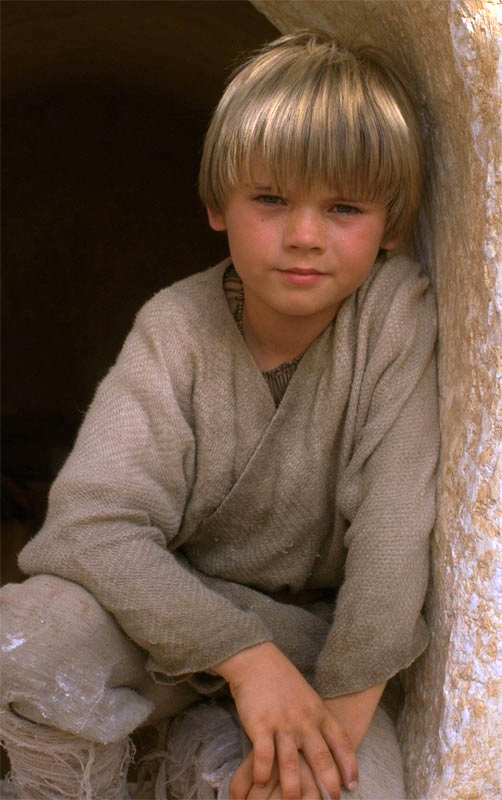 However everyone knew right off the bat he was either Luke or Anakin. His costume was a screaming success in his mind. Finally, though,today was a very happy day for me. It was the day Keith got his first real haircut in a year. I love it! At the salon he was all smiles. When we were driving away, he put his hand up to his neck, didn't feel any hair, and began to cry. It was quite comical to me. When he cries, it is impossible to understand what he is saying. I turn it into a game for myself and try to guess based on what it sounds like. "A penguin ran away with your friends?" "You lost your baboo?" "Aliens want to sell you squirrels?" It only makes him madder, but I think it is hilarious. Because, seriously, he is indecipherable when he cries. I hope it helps him realize how hard it is to understand him, and he can calm down enough to communicate normally. Basically, he was upset because his storm trooper mask felt different on his head without his thick winter fur aka hair back there. Funny boy. I hope he likes it soon, and I hope he will let me fix it sometimes so it doesn't just look flat and dull. But he is a low maintenance kind of boy, so I need to just accept that. Sigh. He had Parent Teacher Conferences tonight, and I have to say, I couldn't be prouder of that boy. I know that he is doing well in school and possibly at the head of his class. As we were driving to meet with his teacher, I asked him if any of the other kids read as well as he does. He just shrugged and said "I just know a lot of words is all." like it ain't no thang. I was deeply impressed with his humility. Seriously, that boy impresses me up and down and all over China. When we met with his teacher, she basically said he is getting straight A's. 3's actually, but the equivalent of A's. She has to skip ahead a few books for him to take home and practice reading because that boy is just a glutton for learning and so far ahead of his class! As a reward, we stopped by the book fair, and I let him pick out any book he wanted. He also gets donuts from Krispy Kreme, and a kids meal from a local pizza joint, and admission to a museum. Seriously, getting good grades pays. I am so proud of my handsome little man. Here's to hoping he has no intention of being Cousin It for Halloween next year! I can't believe the beautician said who! That is sad, but looks like she got the hair cut right in the end. I love his new hair cut though, so cute. So so awesome he is doing so well! his haircut totally made his costume! And that's dedication right there! I love that you based his haircuts (or relative lack thereof) all year on a Halloween costume. You are such a cool mom.